Is a large village of around 600 dwellings and is about 8 miles from Colchester. This is very popular village which is set around a village green of over 40 acres which is reputedly the largest village green in the country. The Green is a protected open space and provides enjoyment for the local inhabitants and recreational facilities including a childrens playground, cricket and football pitches. There are several shops, a public house and a full time doctors surgery around the village centre together with a primary school and railway station. There is also a number of properties within a Conservation area which are of special architectural or historical note. 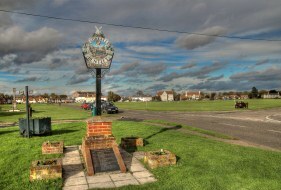 The village is set just to the south of the A133 and is therefore within easy access to the A120 / A12.